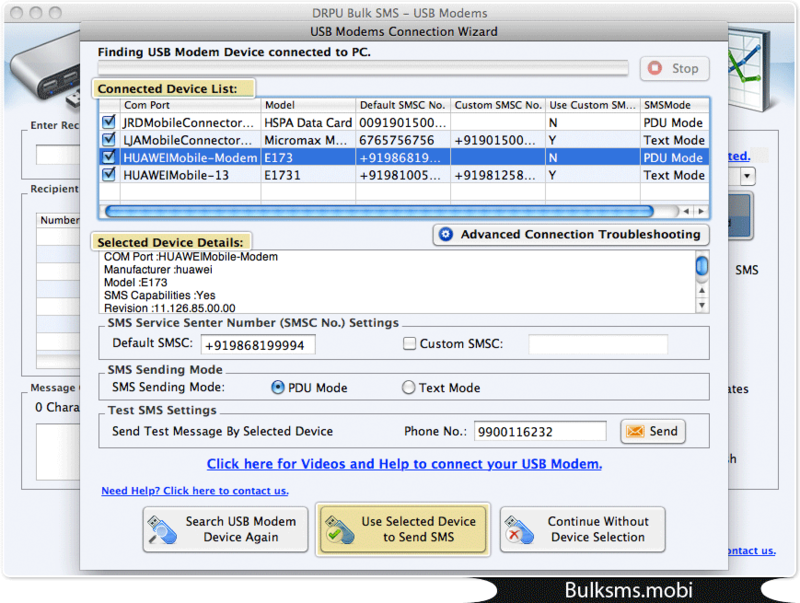 Wizard shows USB modems device connected to PC. 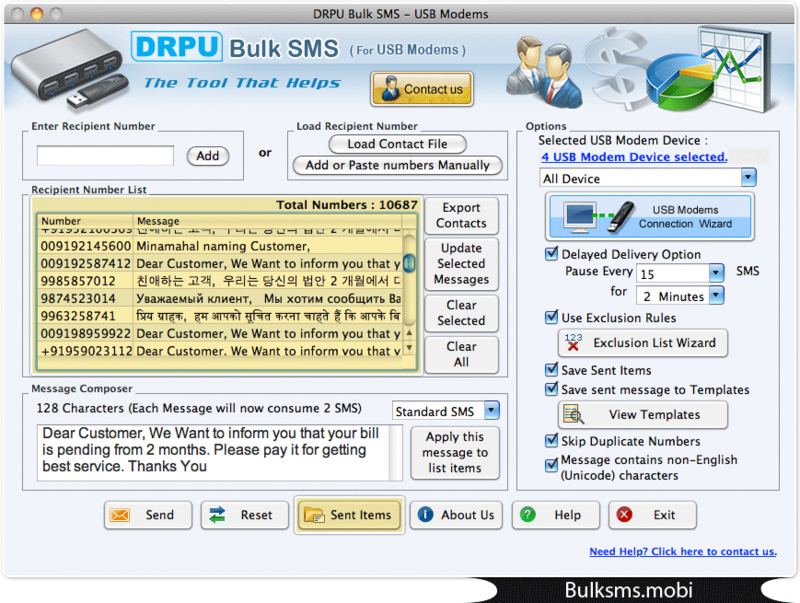 Select device and click on “Use Selected Device to Send SMS” button. Load Contact File or Add or paste numbers manually to load recipient numbers. 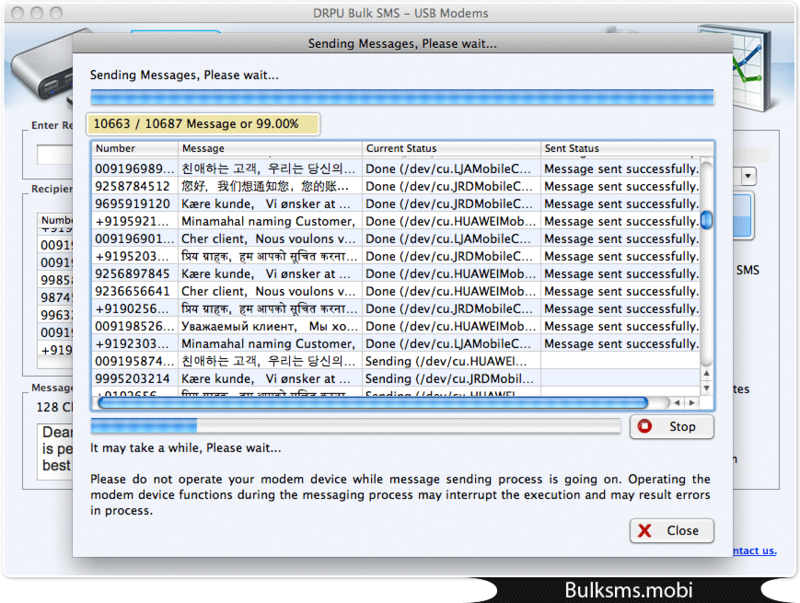 Screenshot display current status of message sending process.